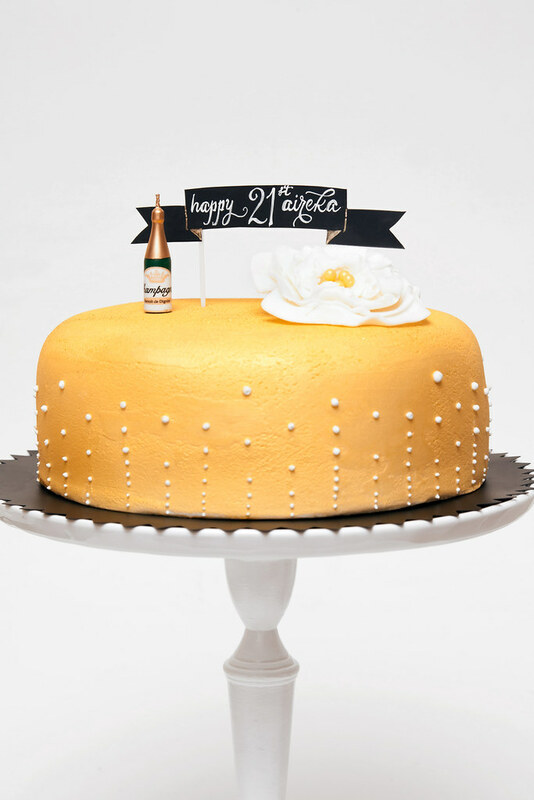 Very excited to share this champagne bubbles inspired cake for our friend Rachel's cousin, Aireka. Rachel and her family are celebrating Aireka's 21st birthday in Calistoga tonight with their whole family. This is a fondant cake sprayed with shimmering gold mist, sprinkled with edible gold disco dust, and decorated with effervescent royal icing dots. The best part is that inside of the cake is spiked with pink champagne! 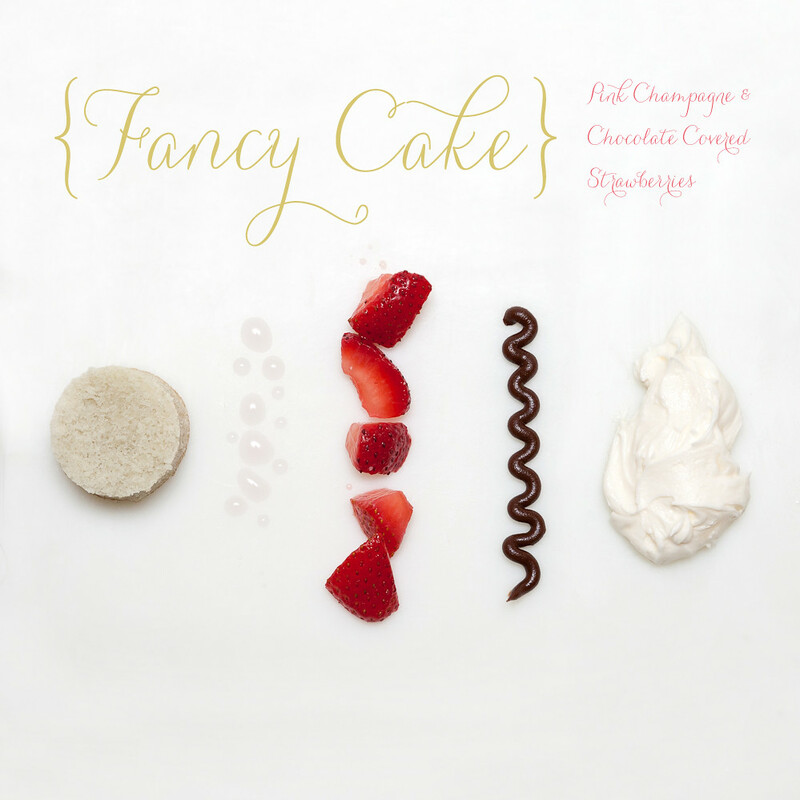 Champagne Cake and Whipped Champagne Frosting (a la Sweetapolita's Pink Champagne Cake Pops). I also made a Pink Champagne (with a dash of Chambord) simple syrup. And one more fancy addition...this champagne cake has "Chocolate-Covered Strawberries" as filling. A heap of fresh strawberries, diced, and covered in a blanket of velvety chocolate ganache. So fancy I'm gonna die! Here's a fun little breakdown for you of this self-proclaimed Fancy Cake, since I can't really show you a slice. That'd just be awkward for Rachel and her family... "Oh, sorry, I had to just get a picture of the inside..."
Hope the cake is enjoyed tonight and it's a happy & bubbly 21st! Cheers!